Oh, cupcakes. They’re one of my favourite desserts to make. I just love everything about them, from the cake itself, to any little decorations that may sit on top. 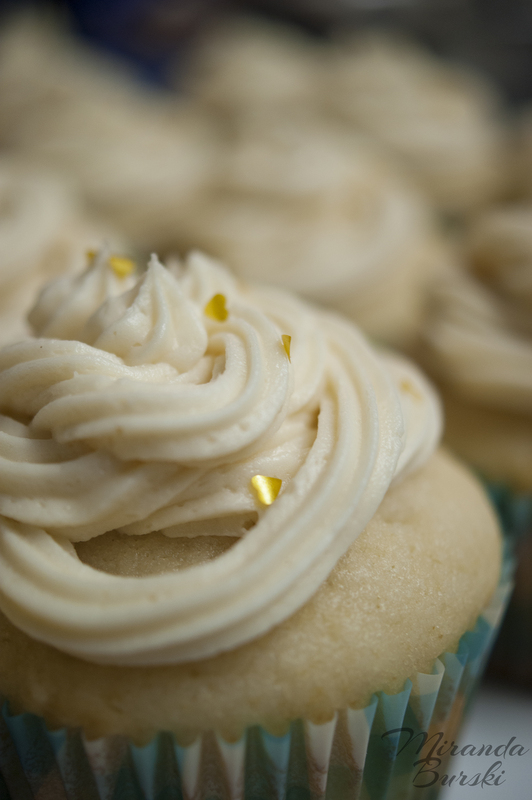 That particular cupcake up there is fairly simple: a vanilla cupcake with a Baileys buttercream frosting. But you know what? It was delicious. The other two flavours I made last weekend were good, too, of course: A cookies and cream, and a chocolate. That vanilla and Baileys combo, though. That was easily my favourite. I would definitely recommend giving it a try sometime. Made the cupcakes using this Vanilla Cupcakes recipe from Food Network. Started with this Buttercream Frosting recipe from Num’s the Word, but used only one tablespoon of whipping cream and added about two tablespoons of Baileys. If you want a stronger flavour, you can add more Baileys; you might just need to add a little more icing sugar to get the consistency you want.